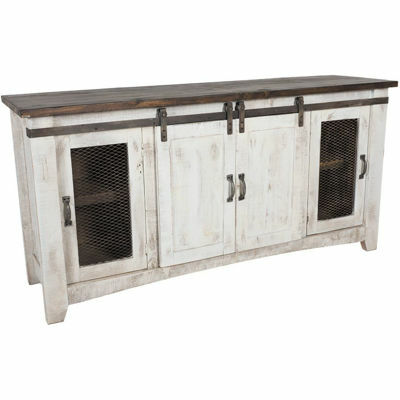 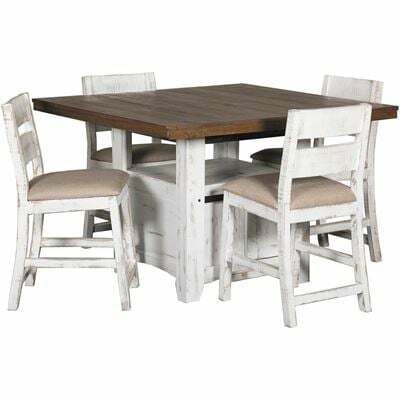 Bring home a cozy, vintage farmhouse feel with the Pueblo White 30” Barstool by IFD. 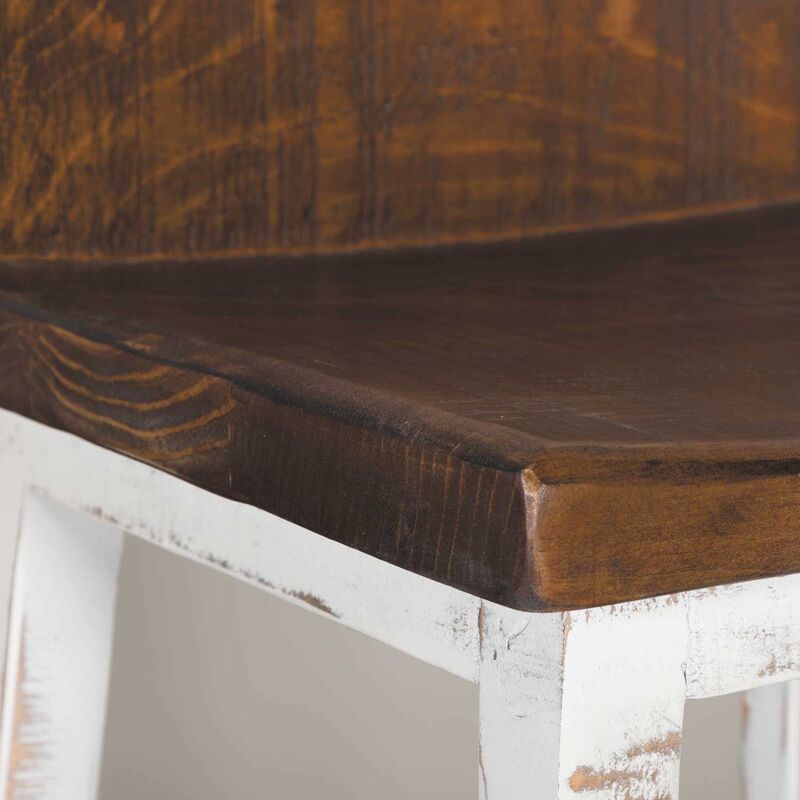 This 30”, bar height stool has rustic style with a low back, distressed brown finish on the seat and back, and a hand-distressed, white finish on the base of the stool that captures the charm of an old barn. 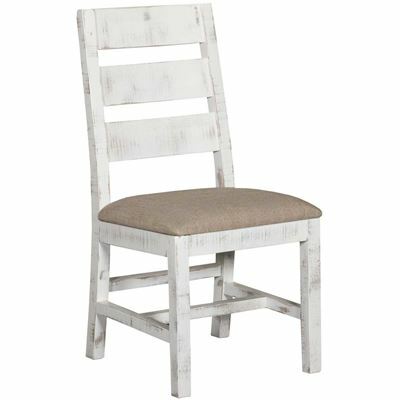 Bring home a cozy, vintage farmhouse feel with the Pueblo White 30” Barstool by IFD. 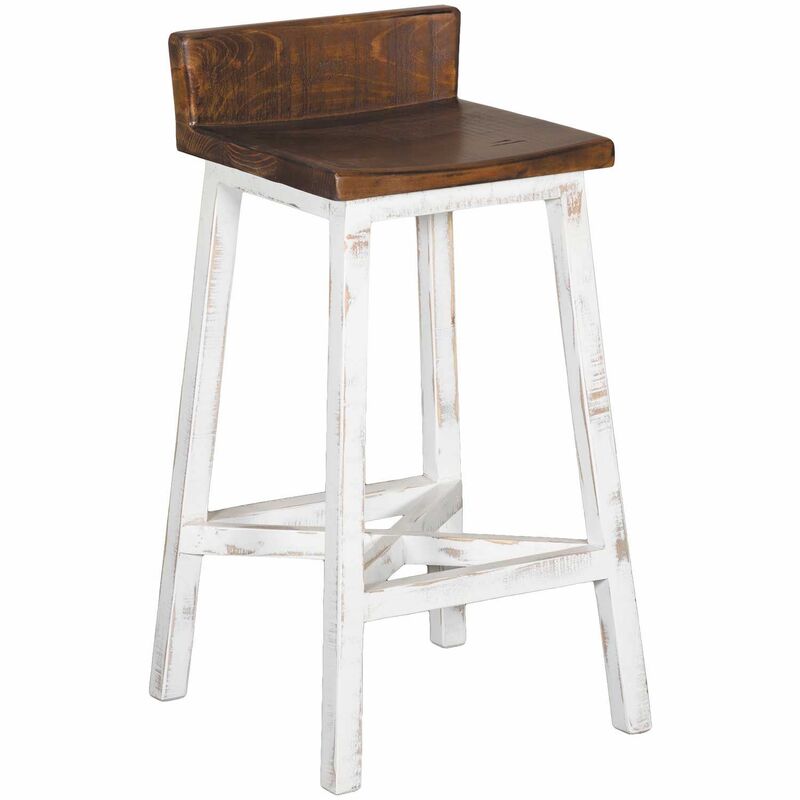 Pueblo 30" Barstool by IFD. 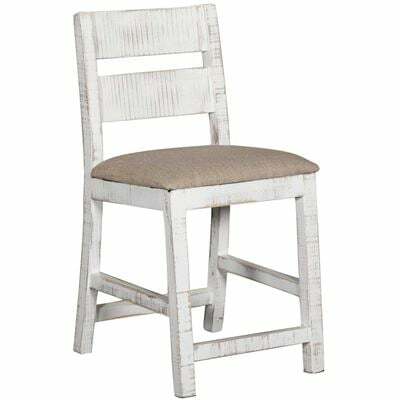 Rubbed white finish on base with medium brown stained seat and back.